The coffee shop near my job is really kinda depressing to me for several reasons. First, their coffee usually just isn’t that good. Believe me, I’ve tried giving them the benefit of the doubt several times. I’ve bought multiple items on their menu just in case it was a fluke recipe; lattes, cappuccino, hot chocolate. NONE are really worth writing home about- or the $3.00 + change they charge for them. They’re not disgusting just…blah. Bland. However, since they’re the closest thing available to me, and more importantly because I have to feed my coffee addiction (or else bad things happen) I do still get a drink from them on the regular. I had to mix things up, though. The barista there and I have a special understanding; she swaps out the regular vanilla syrups used in one of the lattes on their menu (it’s not good) with butterscotch syrup just for me, which really makes the drink taste a world of a lot better. I kinda wish they would give me the credit for the new drink. Name it in my honor and put it on their menu or something. I feel like I did them a major favor. It actually tastes like it should cost $3.18 now. Second thing about the coffee shop that depresses me? There’s no hot barista guy working there that I can flirt with in the morning to shake me out of my boredom. Y’know, the guy who gives me the extra shot of espresso free of charge with a commercial-worthy wink “just because” and calls me by my first name and always asks me how my weekend was or what my weekend will be like. This should be basic elementary coffee shop stuff 101, amIright? But even more depressing than the just-below-average coffee and absence of a hot barista guy named Wes in the coffee shop are their “baked goods”. The quotation marks were intentional. I’m really not even sure if I should call them that- seems like an insult to be honest. There’s nothing “good” about them. It’s that bad, you guys. I almost don’t even know where to start. They over bake EVERYTHING. I mean, good Lord. Whoever they’re paying to be their baker/pastry chef needs to be fired. or at least they should let me sit down and talk to them about some basic fundamentals of baking. Cookies shouldn’t be completely flat and sunken in the middle when they set up. And they should not, should not, SHOULD NOT be dark brown across the top. That’s a burned cookie. It will crumble- and not crumble like Chips Ahoy, either. It’ll crumble like sawdust. Gross. The scones are really what make me want to burst into tears though. Those poor, poor scones that never did anything to hurt anyone. Those poor scones that just wanted to be great. Those poor scones that have go through such cruel and unusual punishment. They’re over baked to the point where the inside of the scones looks like biscotti. They’re way too brown, I feel like if I squeezed it, it’d crumble into sawdusty crumbs. You’d never be able to tell that there was any butter layered in that overworked, over cooked dough. It’s a travesty. Scones are one of life’s greatest joys. They deserve better. They deserve to BE better. 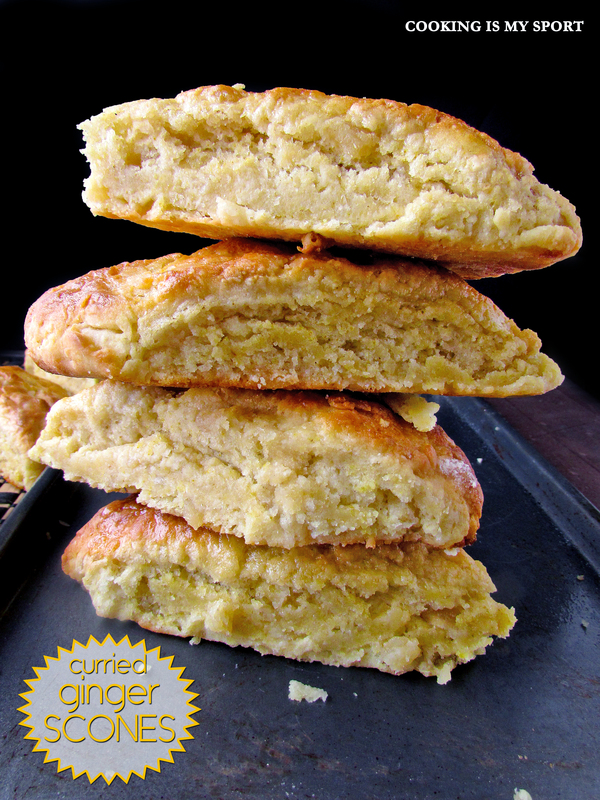 They deserve to be these Curried Ginger scones. I so wish I could sit down with the baker at the coffee shop near my job and teach him or her how to make these. I feel like I could change their life. Curry and ginger is a marvelous combination; there’s just enough bite, spiciness, and sweetness in both to balance off of one another. Pair this up with a cup of coffee, and you’re more than good to go. You’re ready to face the world. Add the buttermilk (or yogurt or sour cream), stirring till the dough just holds together. Transfer the dough to a lightly floured work surface, and pat it into a 10-inch square, about 1/2-inch thick. Bake the scones in a preheated 425°F oven for 20 minutes, or until they’re golden. Remove them from the oven and paint them with ginger syrup, if desired. Hilarious and sooootrue = you are not wrong! I have a nearby place that has great (decaf) coffee and a brownie with expresso that puts me over the moon. Also the people are friendly. Another nearby place, well their coffee is what you said, eh. So I know what you mean. 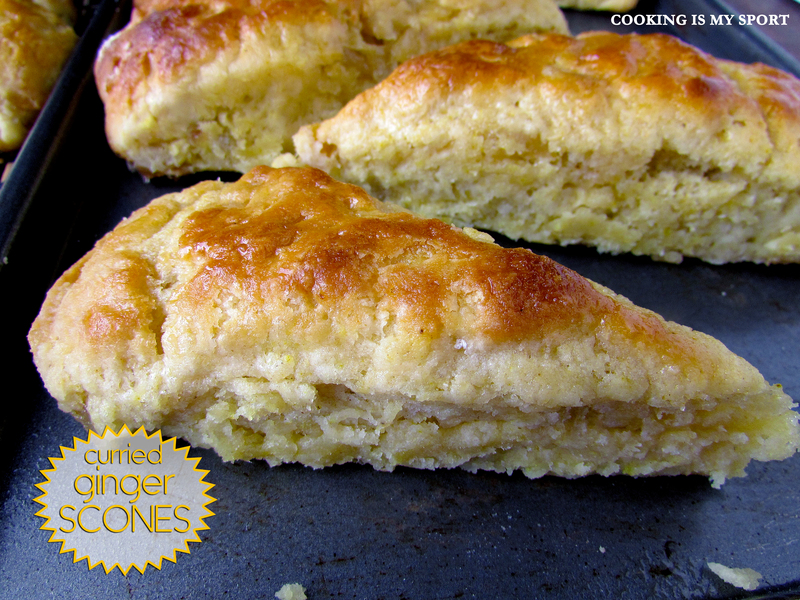 The scones look awesome, moist and love the curry and ginger. Delicious. Good coffee is not that hard to make, they aren’t trying or don’t care or both. Morning coffee is so important, at least to me it is. Must be good!! I think it may be a little bit of both Suzanne, thank you! Oooh, these scones look fantastic! They look so moist and the color is beautiful. Such an interesting combination of flavors, too. Isn’t it amazing that places like your coffee shop stay in business? I think people really want to frequent the shops closest to their homes, though. There is a pizza place close to us that I think has terrible pizza, but it is always crowded. Thanks for this wonderful scone recipe, Jess! I know exactly what you mean: so many coffee shops seem to be on a mission to ruin those poor beans! As for your scones, they look absolutely stunning – and I bet they taste amazing, too! Never had the curry/ginger combination before. These look great! It’s a wonderful combination Debbie, you should try it. Thank you! I’ve just decided what to have for breakfast tomorrow. Thanks so much for sharing. I hope your coffee shop gets a new cook soon, or reads your blog at least. I finally got around to making them, and we just had them hot and fresh for breakfast. The curry flavour is very mild – just a nice aromatic pepperiness which goes so well with the ginger. Hubby highly approved! I will be making these again, so my thanks. 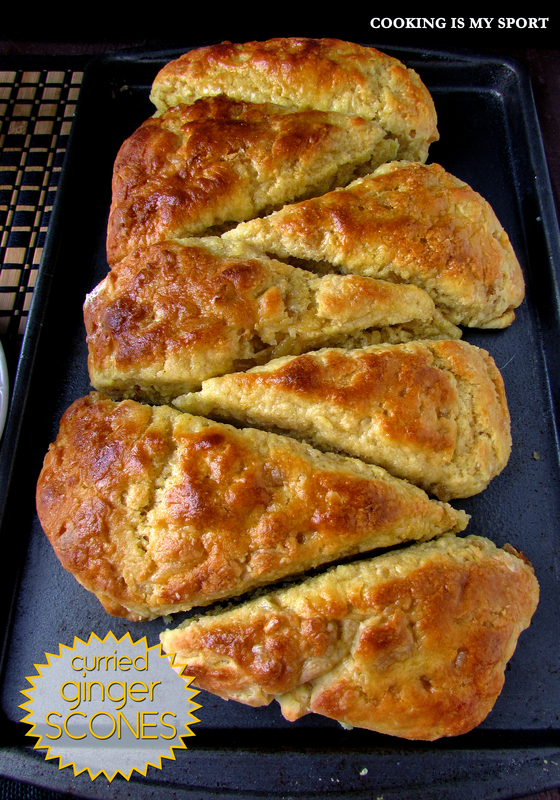 Curried scones…never thought of it! Looks appetizing! When I hear your story about that miserable coffee shop, I think it should be reported for food violation! May your coffee taste better and all your other wishes come true! I’d never heard of it before until this recipe either, but it’s a marvelous idea. Thank you! I can understand the coffee shop issues – I am lucky to have a couple pretty good ones near me, but it took a couple failed tries elsewhere to find them! These sound tasty, good scones make all the difference! 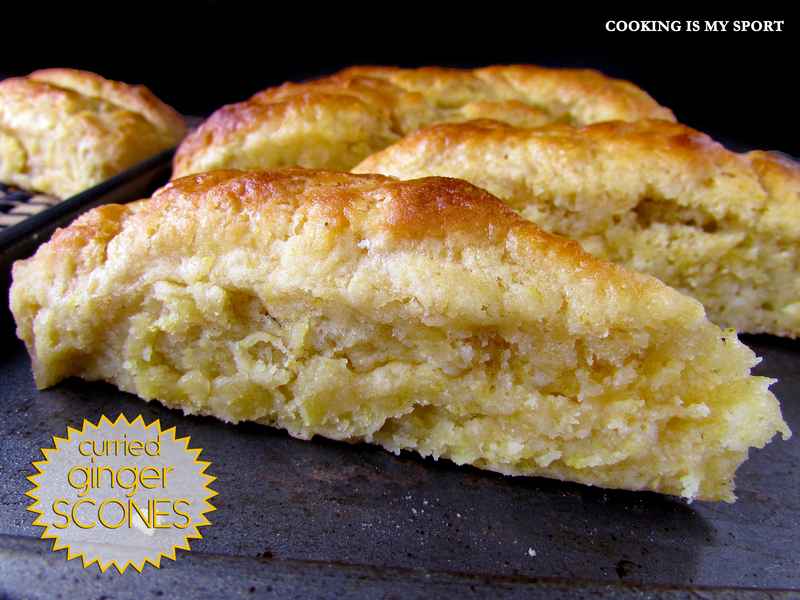 I am really intrigued by the flavors of these scones Jess! Sounds delicious! Hope the coffee situation gets better! $3.18? LOL. These are the moistest scones that I have ever seen! You should take one over to the coffee shop and let them know what they are missing! Course, you may end up with another job. 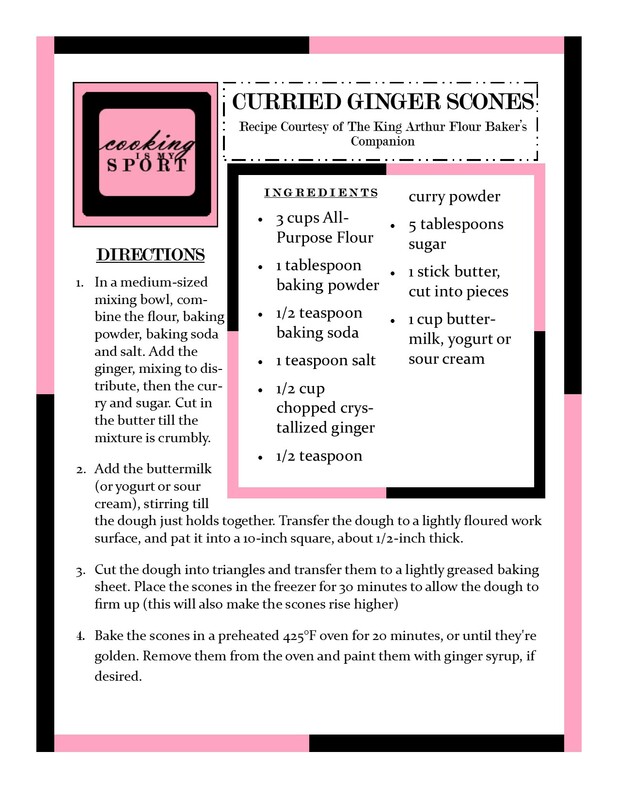 Curry and ginger, that’s amazing for a scones…. I hope they will let you sit down and explain HOW to bake! You had me at curry and ginger; seeing that they are scones put me over the edge. Seriously. They look amazing. And you should have your own coffee joint and sell these with the coffee. I’d buy one everyday. This is an intresting combination, I must try! I love a good scone! These looks moist and delicious! Thank you so much, it’s a combination that’s not exactly classic, but it still really works! What an amazingly original take on scones! I mean there are some people that still argue whether traditional scones should be spread with clotted cream first and then jam or the other way around – and then there is you making these 🙂 Fabulous! Beautifully done! I might try these soon! Lovely! And I agree about coffee shop scones – they always look so good and so seldom deliver! This look beautiful and moist, and happy FF! Your scones look fabulous. Love the curry For their sake i wish they were reading your post. Thank you Claudia, I really liked how they turned out! 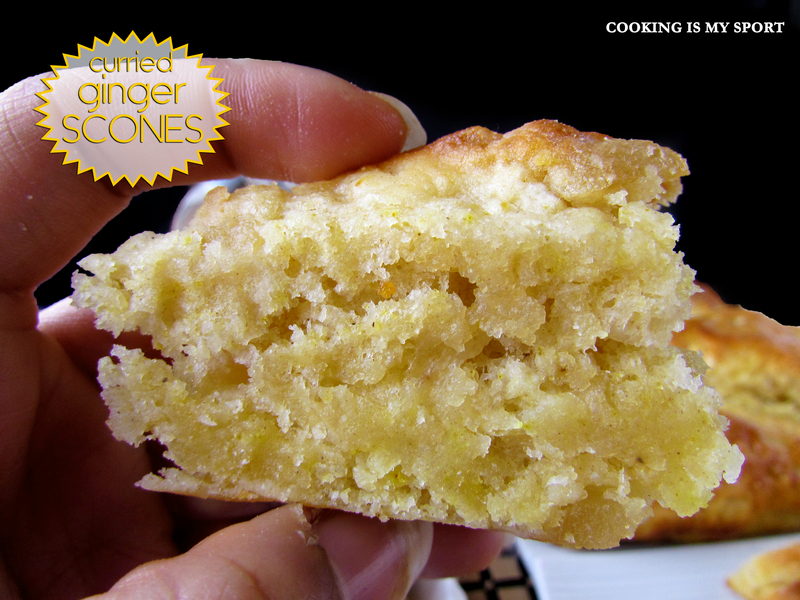 I love ginger scones and these look amazing! I can’t wait to try this recipe. Just wanted to let you know that I have nominated you for the Creative Blogger Award. Go check out my blog to see what you should do next. Keep up the awesome posts!